Steve Grace is a LEGEND! It is official, he has an award from Christian Media & Arts Australia (CMAA) to prove it. The ONLY thing Steve Grace loves more than taking his music to his country and his people, is his Saviour, Jesus. 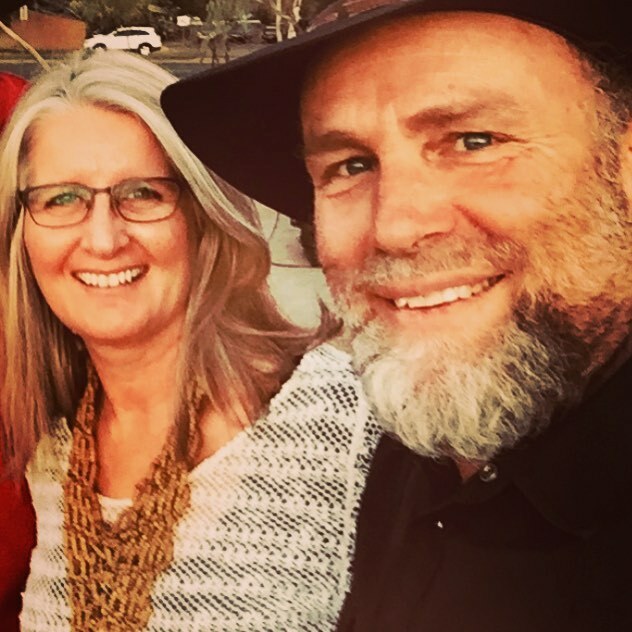 Born in PNG to missionary parents, Steve has known the hard life of missionary work, striving to earn enough to eat, truck driving hours and Ks on end but there is nothing he likes more than to see the love of Jesus light up the faces in his audience. One could be bold and say that Steve Grace has travelled more Ks across this wide beautiful land than almost anyone else ever has. His mission, to take the Gospel to ‘everytown,’ has seen him play more bush stages, sheds, verandahs, pubs and outback Churches than his musical hero himself, the legendary Slim Dusty. But he loves it! No more so than because it is doing God’s work. Having a family while almost perpetually on the road is tough, tough on a wife, tough on children and tough on a family. Has to be said then, Kerrie Grace MUST be an angel. She not only ‘puts up with it’ but shares equally in the mission and handles Steve’s Management, bookings and Promotions. Jordan, a rather brilliant exponent of the guitar – and why not, he’s had one in his hands almost since birth. When not playing and touring with his Dad, Jordan performs as part of the duo Skypilot with his lifelong best mate and ‘brother’ Trent Kruger who both have their wives on the adventure. Cheynne, like his Mum, is an organizer and handles the affairs of Skypilot with aplomb! Then there’s Ryan. Sometimes off doing his own things, sometimes handling percussion for his family. But the adventurous journey has had it’s own rewards. Steve’s Dad, who continues to inspire him is still sharing in the joys of seeing and believing in “rewards gathering in heaven.” When he can, and especially on those special occasions, Ced Grace joins his son, like at the Byron Bay premiere earlier this year of a documentary film detailing Steve’s almost direct journey from Broome to Byron Bay through the Red Centre on a specially modified Harley Davidson.